The basic forces of supply and demand are evident in survey results that compare the average percent difference between the asking prices of homes and the actual selling prices. Over average, homes that were on the market for less than four weeks actually sold for slightly more than the original asking price. However, as the length of time the home was on the market increased, so did the difference between the asking price and the selling price. 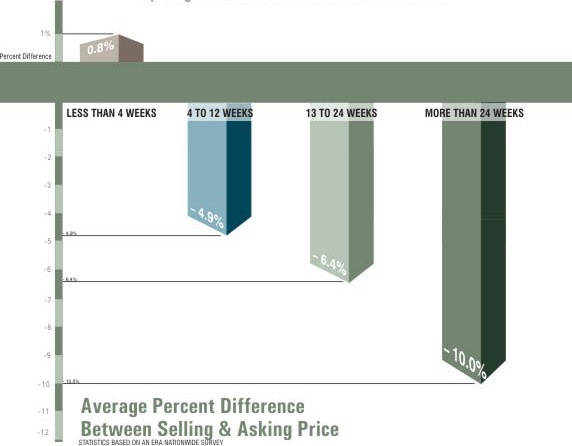 Homes on the market for 24 weeks sold for an average of 10% less than the asking price.